Cthulhu Saves the World from Zeboyd Games delivers an enjoyable RPG experience, and due to it’s widespread critical acclaim the title has become a signature must-have Xbox Indie game. 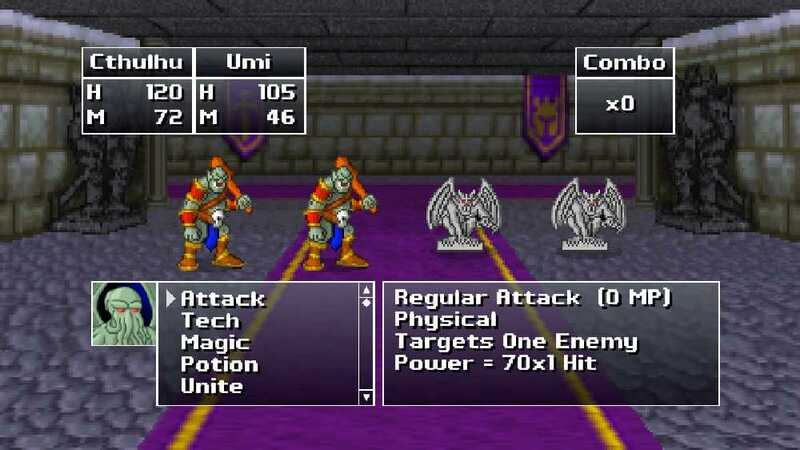 Get ready for old-school classic turn-based J-RPG action with a team of heroes that expands as the player progresses through the game, each with their own strengths and weaknesses. Assign attributes and skills as your characters level up from multitudinous combat, collect items, farm gold and exp–and most importantly, save your game often. Take down epic bosses in this enjoyable Indie adventure with bit-style graphics and an impressive soundtrack. Along with the classic J-RPG action players will be treated to the humor and wit that is the central basis for all dialogue and story in Cthulhu Saves the World. The developers at Zeboyd inject satire and hilarity amongst the archetypal hero’s journey offering a unique and original story arc that pits H.P. Lovecraft’s cosmic horror as the anti-hero. This RPG adventure starts with the lord of insanity, Cthulhu, rising from the abyssal depths of R’lyeh to bring destruction to the mortal universe. What Cthulhu doesn’t plan on is having his progress impeded by a Mysterious Stranger who seals the dark demigod’s powers away with a strong magical spell. The mysterious conjurer behests Cthulhu on a quest to find heroism; it is only with this true valor can he attain his dark powers from the stranger’s grasp, lift the curse, and use them take over the world. This makes the dark lord an anti-hero in that he wants to do heroic deeds but has an ulterior motive that is truly malevolent to all mortal life. In this game Cthulhu’s evil has been toned down to bouts of outright silliness, giving a nice blend of eternal wrath for all the living and egotistic madman sputtering Fhtagn! all too often. Cthulhu Saves the World will remind gamers of old bit-style RPG classics like the early Final Fantasy games, and the graphics could be said to be on par with SNES or greater, yet it still retains the classic bit-style look and feel. Die-hard RPG enthusiasts out there are sure to have a tender spot for the older games they grew up on, and this game–like man Xbox Indies on the marketplace today–brings a sense of nostalgia while playing. Turn-based combat is what you’ll find in this game, with no variations. Although the game can be somewhat stale if gamers play it for hours on end, to me I’ve found that it’s best in doses. It is a great game, yet it lacks the expansive features some gamers might expect. It does, however, seamlessly mimick all of the features found in an older game within the limitations of the earlier consoles. Players build their party member characters up by killing enemies in battle and earning EXP, basically the hallmark of all role-playing titles. Upon level up players have the choice in assigning attribute points–Strength, Agility, Magic, Vitality, Will–and various skill points that can be spells or techniques. Each spell or technique usually offers two choices, and players can strategically build specialized party members which is quite helpful. Explore a world replete with interiors like caves and tunnels and exterior environments from all over the fantasy world. 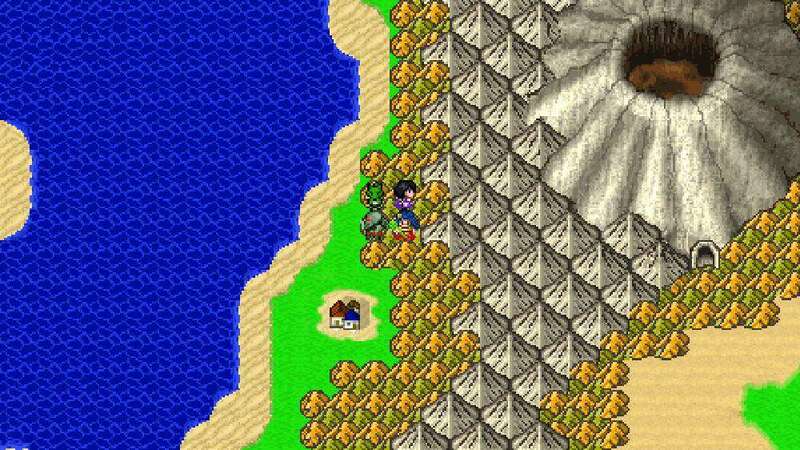 Find civilizations and towns as well as hordes of wild enemies to battle, and all the while gain new party members while finding new lands. The road to heroism is truly a long, winding path, and our anti-hero must trek afar before his journey is complete. Offering an estimated 6 hours of gameplay, players are sure to have their fill–and just in case you can’t get enough the developers have put in multiple game difficulties to beat as well. The Final Truth: Cthulhu Saves the World has often been looked to as arguably the best Xbox Indie RPG on the marketplace today, offering a complete classic adventure experience with all the familiar elements gamers would expect to see. With awesome graphics and pixellated sprites the game’s visuals are enjoyable from start to finish, and the musical score only adds to the greatness. Although the game can be rather monotonous when playing it for a long period, it’s still fantastic in small doses and has high replay value with multiple game modes to unlock and beat. For more information on Cthulhu Saves the World please visit Zeboyd Games’ official website.